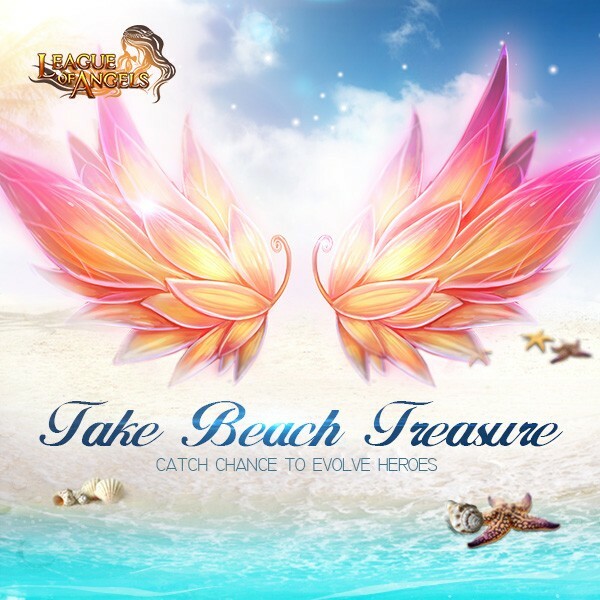 LoA_Take Beach Treasure and Angel's Chest, catch chance to evolve! 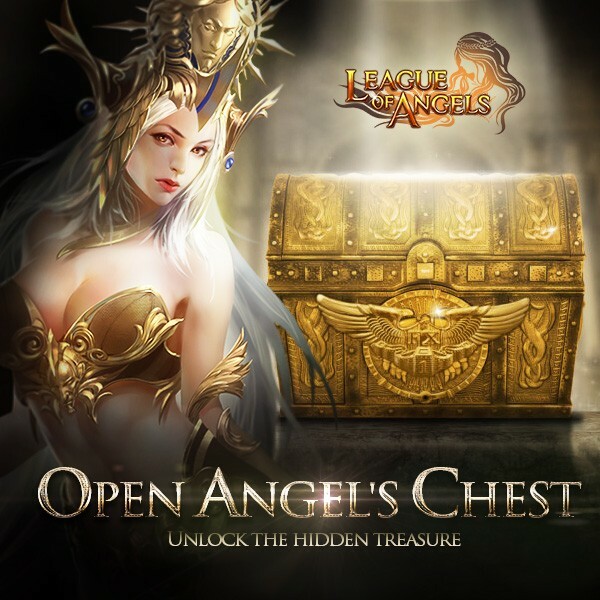 Description: Open Angel's Chest with Holy Keys, and you will have a chance to take Claudia, Polly and Sunniva home, and even obtain the rare Angel Evolution items! 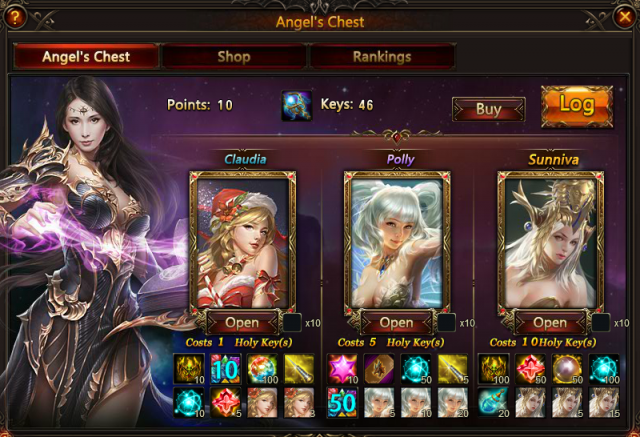 - There are 3 types of Angel's Chest: Claudia's Chest, Pollys Chest, and Sunniva's Chest. Each may contain the Shards of the same name and many rare items including Blessed Stones, Seraph's Stones, and Cherubstone. 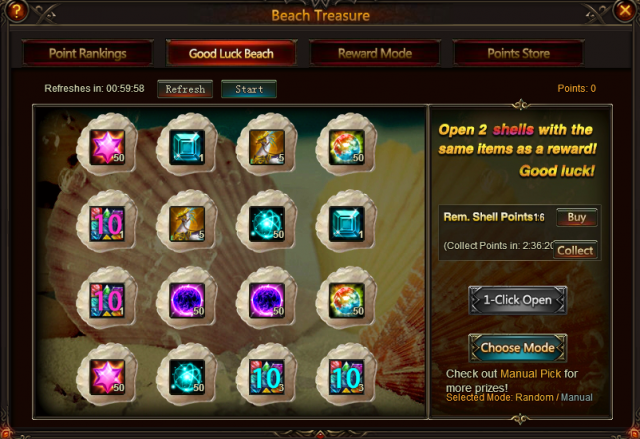 - For each chests opened, you will get some points. Daily Top 20 players who have at least 100 points will get extra Tarot Cards; Daily Top 20 players who have at least 300 points will get extra Runestone. - At the end of the event, the Top 20 players who have at least 600 total points or 2000 points will get extra rewards as follows. 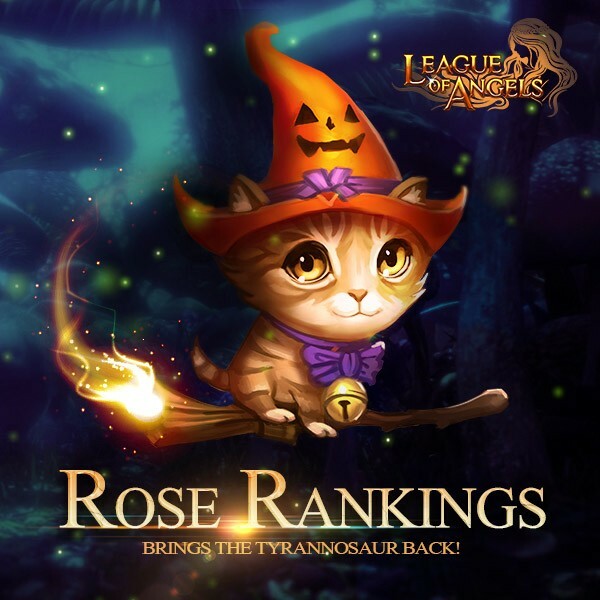 Description: send roses to your beloved to get her/him the Witching Cat ! Server: S1 to S577Description: Log in every day to win Shell Point Card and Holy Key! More exciting events are coming up through Nov. 1 to Nov. 4, check them out in the in-game How Events menu now!